IONTOF is not only committed to developing and manufacturing products that are safe and environmentally sound throughout their lifecycle. We consider environmental issues such as low energy consumption with high priority, and we are convinced that this policy deserves even greater attention in the future in view of the climate change. IONTOF hence recognizes climate change as a serious concern that requires meaningful action on a global basis in order to stabilize the atmospheric concentration of greenhouse gases. IONTOF is convinced that all sectors of society, economy and governments worldwide must participate in finding solutions to the climate change and supports joint efforts to reduce global GHG emissions. We consider energy conservation and renewable energies to be pillars of climate protection and will continue to conserve energy and to improve the energy efficiency of its operations, products and services. IONTOF also encourages its suppliers to do likewise. A major step was taken in 2010, when IONTOF started to exclusively use green electricity from a local provider. We received the green energy label "Grüner Strom Label" in gold. 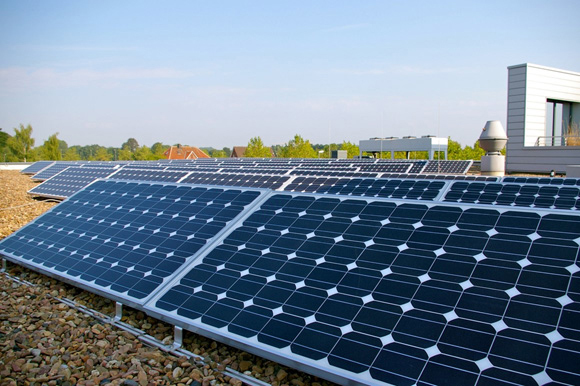 In addition, we have actively been contributing to the use and generation of green energy with solar cells installed on the roof of our company building. With the use of 100 % green electricity, IONTOF has achieved a major reduction of its scope 2 GHG emission. The IONTOF CO2 balance for 2010 for scope 1 and scope 2 GHG emission was reduced to less than one ton of CO2 per million US$ turnover. Furthermore IONTOF is also a member of the "Allianz für Klimaschutz" (alliance for climate protection) of Münster. This group was established by the city council in 2011 in order to support Münster's ambitious climate protection targets, which include a CO2 reduction of 40 % from 1990 to 2020 as well as the use of 20 % renewable energies until 2020. IONTOF actively participates in the workgroups dealing with the efficient use of power and with possible immediate measures. Our highly skilled people are the Company's key resource and their health, safety and welfare are central to our values. We are committed to preventing injury or harm to persons through our activities and to reducing work-related illness or injury to a minimum. We are proud of our injury-free history and will continue to reduce risks by ensuring that all our employees are well-trained, competent and responsible. By maximising their wellbeing and ensuring their active participation and consultation at all levels of our organisation and by creating a working atmosphere of trust, fairness and openness, we will ensure that our employees will help us to achieve our goals of a safe and healthy working environment. The Managing Directors have ultimate responsibility for health and safety within the company and are advised by independent health, safety and environmental professionals. The company does not only meet all relevant legal, industrial and other requirements but also sees this as nothing more than a starting-point. The company is committed to the continuous improvement of its standards on health, safety and environment. This will contribute directly to our overall business performance and to sustainable growth and will be of major importance for customer satisfaction. IONTOF hence pursues defined goals with suitable measures in order to continue to improve the company’s performance with regard to environmental protection, occupational safety, health protection and quality of products and services.